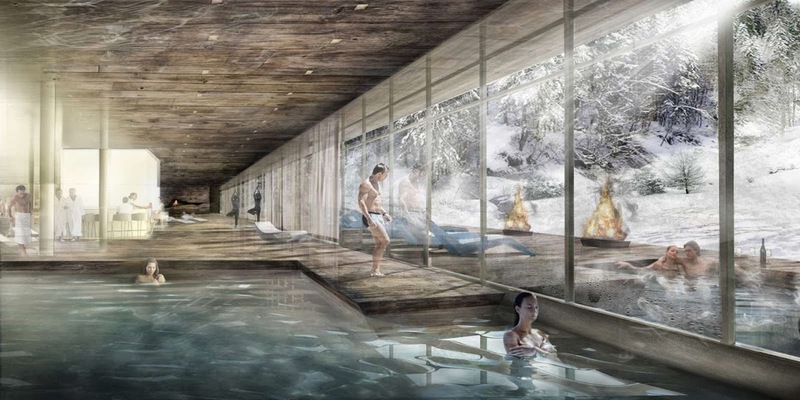 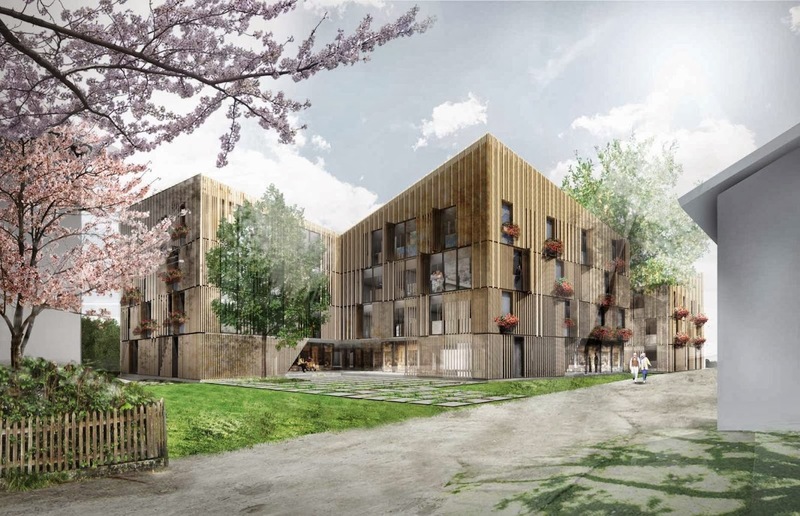 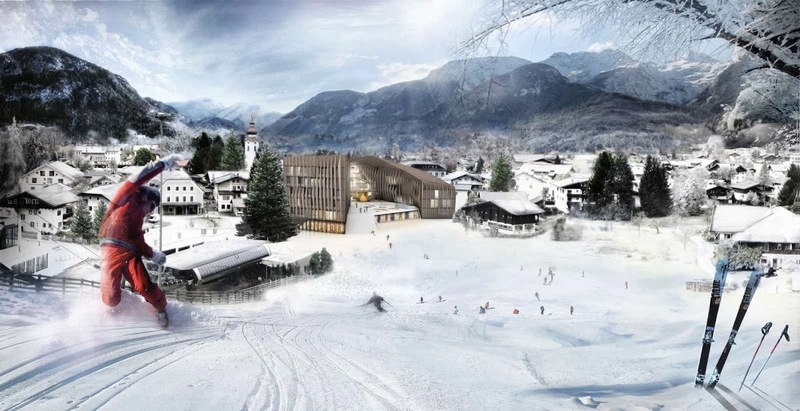 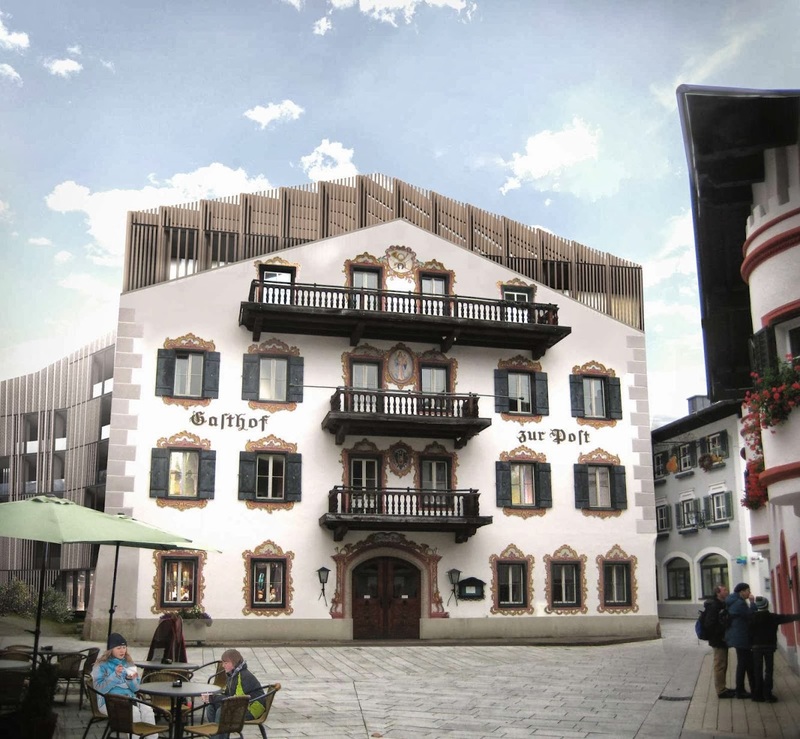 GRAFT, in collaboration with engineering firm Buro Happold, has won first place in a competition to design a “premium common good resort” in Lofer, Austria. 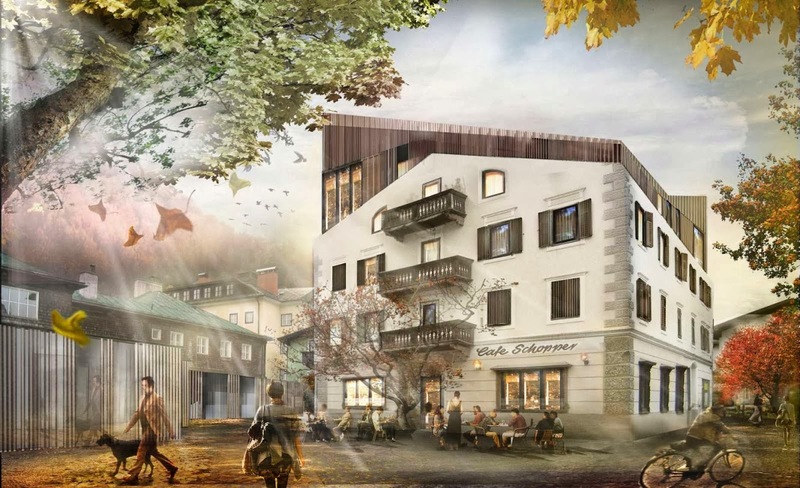 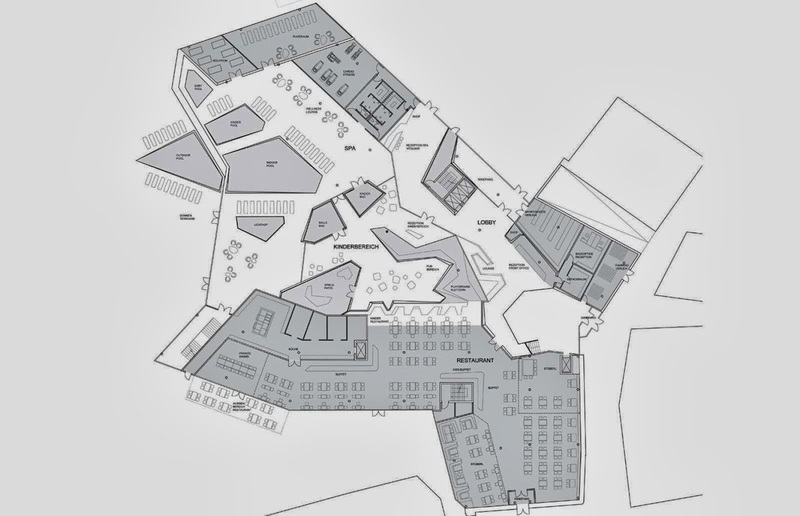 The resort will include a hotel complex, staff building, workshop based on “the economy for the common good,” “café villa” and a premium residence area. 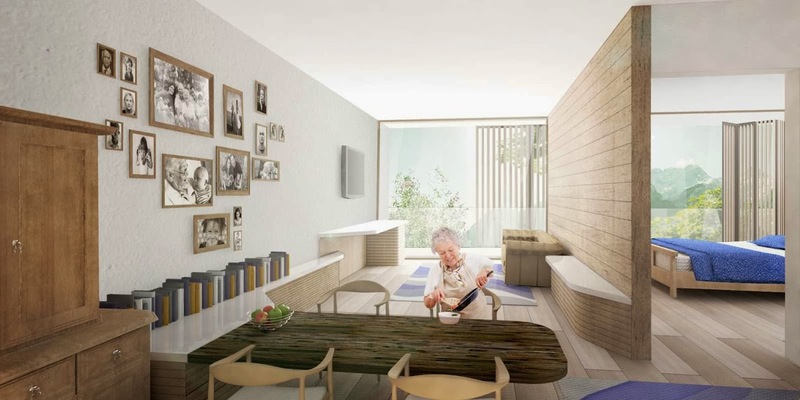 GRAFT’s design was highly lauded by both the client and locals, all of whom were fully involved in the decision process. 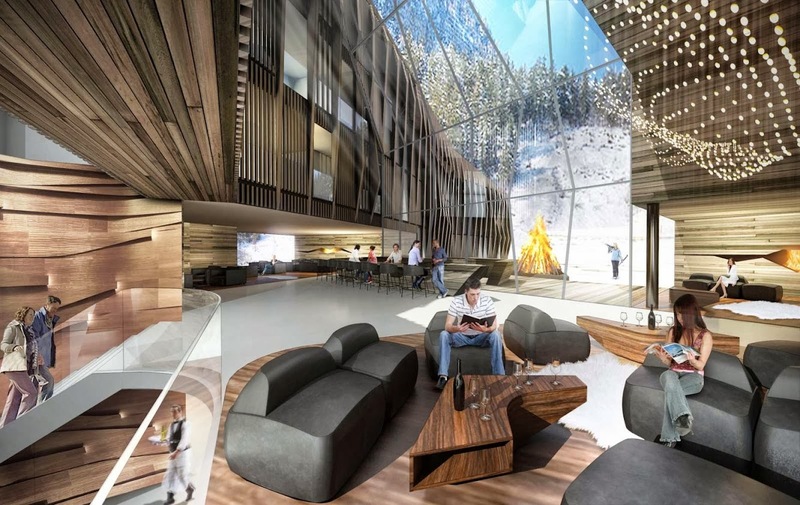 “The building is designed to meet the needs of a hotel without harming soil, air or water. 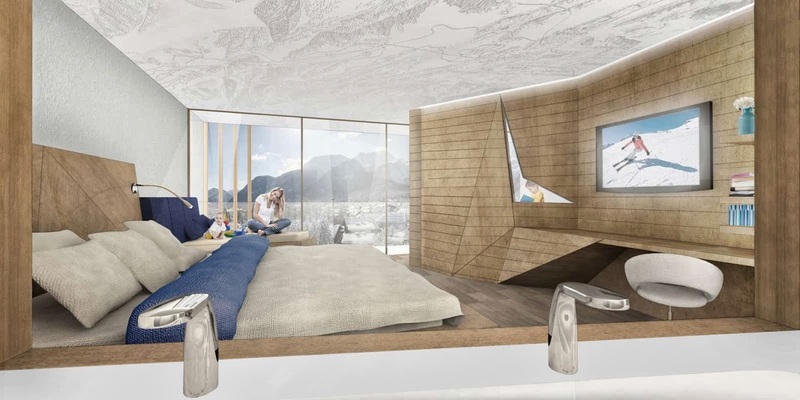 Energy and water consumption is minimized through the “lean -mean- green” strategy, where modern technologies and renewable energy sources come into use. 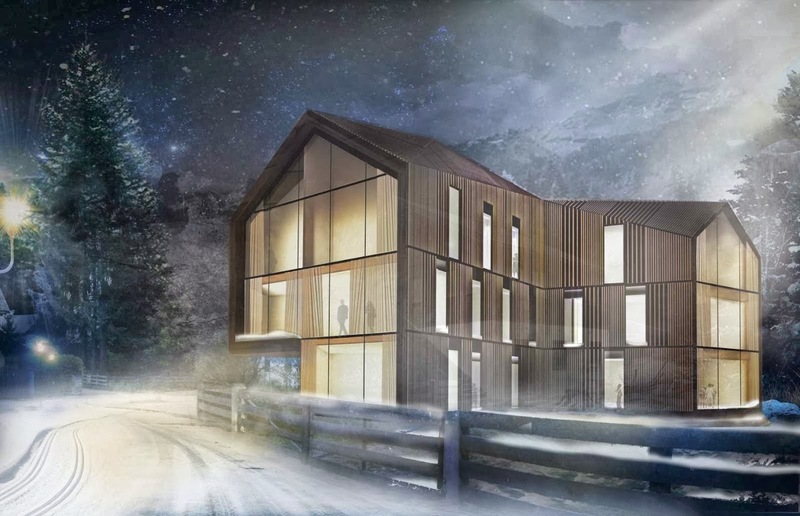 Apart from the ideal use of rain, snow and sun, also the façade and the building measure up to specific sustainability criteria” says the architects.